There is something magical about seeing new parents interact as they share in the excitement about the upcoming birth of their first child. 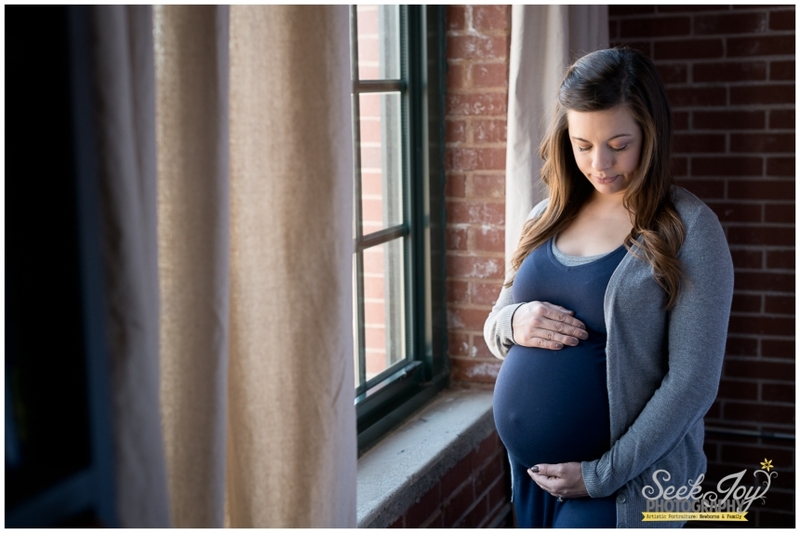 This is why I love shooting maternity portraits in the Greenville area. 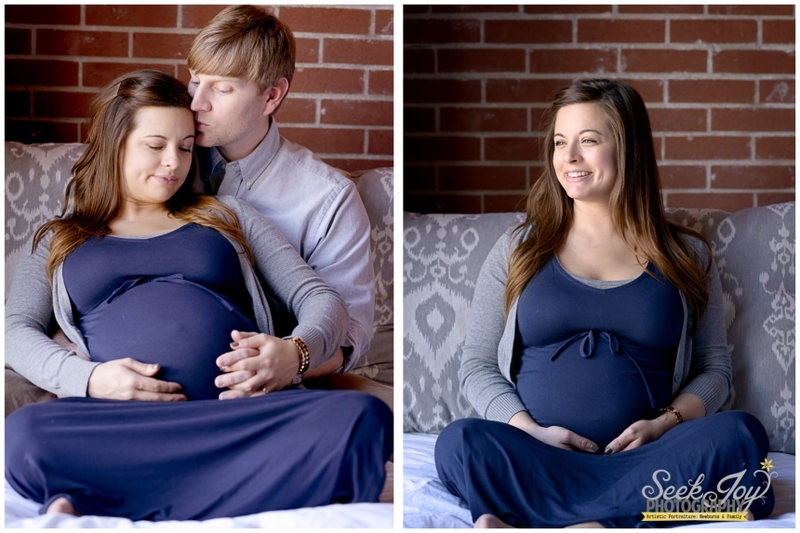 I love both casual maternity sessions as well as sessions where the new mother wears a maternity gown. For this session, we incorporated both clothing options. A cream, lace split maternity gown from Taopan Gowns was used for Melanie’s session and created stunning images in front of a large window at her home. I also loved the exposed brick in their loft for the portraits of her with her husband. Be sure to meet view little Miller on the blog as he is a baby bundle baby. If you are interested in capturing your pregnancy, be sure to contact me at the beginning of your second trimester to book your maternity session!